Thanks to Robert Sample for this photo of Reilly's Hotel in Richmond. This is from the book "Valley Irish", by Carol Bennett, page 31. Edward Reilly had this hotel built in 1855.
place for the men who went to work in the shanties in the winter. The men and their teams from all nearby Townships stopped there. Ottawa area, heading up to Renfrew County, the Gatineau Valley and the Pontiac. Another family (spelling RIELLY) had a Blacksmith Shop on the Franktown Road. her info out of 'Richmond Sesqucentenial' 150 yr history of Richmond. 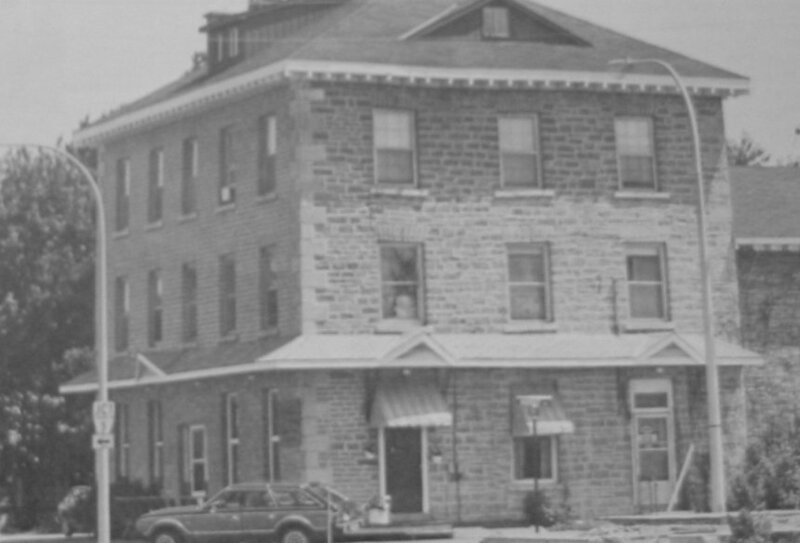 1 Hugh Bell  Owned Bells Hotel, Bells Corners. ............ + Edward Rielly b: in Info from dau. Edith's wedding info.